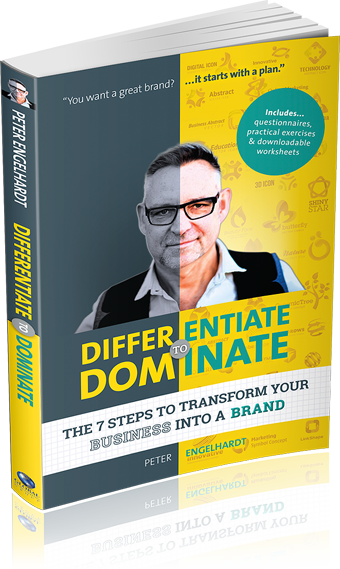 from Peter Engelhardts’ Differentiate to Dominate – the 7 steps to transform your business into a brand. Winning the hearts and minds of your dream customers can only be achieved when you have a clear and focused Brand Strategy from the get go. Leading brands already know the steps to not only creating a brand customers will love, but a cohesive internal culture that believes in it’s purpose and brings it to life. In my book I show you how to build your brand strategy by revealing the key components you need to be clear and focused on, to stand out and apart from your competition. The key strategies great brands adopt for enduring success. Book forward included by Jack Delosa – Founder of The Entourage and BRW Young Rich List Member.